« Tommy Bahama is actually in Seattle. Their Naples store has fine casual clothes for those who will pay for those gorgeous fabrics and designs. 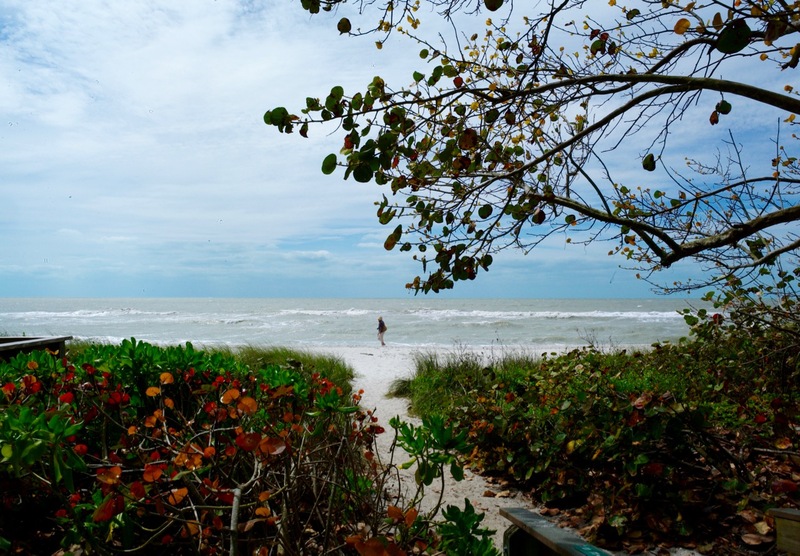 No lifeguards, no boardwalk, no badges, no cotton candy, no kidding: it’s a Florida beach in Naples. Naples, southwest Florida. Choppy waters on the Gulf of Mexico. Paul Goldfinger © March 2016. Click to enlarge. MATT MONRO from the movie The Sand Pebbles. Naples is a fabulous city in southwest Florida. The downtown is elegant with beautiful shops and restaurants. Yet, despite attracting tourists, the beaches are open and uncrowded. That’s because they don’t want to attract throngs, so there is plenty of parking and no mega events to force the residents into their homes such as happens in Ocean Grove and continues into September and beyond. This photograph is from March, peak season for southern Florida.